Father, I pray that you will cover over our hearts and minds with the blood of Yahshua from the spirit of deception. We bind the spirit of deception and cast it into the pits of hell where it belongs and we thank You that You have sent Your Spirit to fill any void within us. Thank You for removing the veil from our eyes to see the Truth and for unclogging our ears to hear Your voice clearly. Thank You for Your wisdom, knowledge and understanding that You poor out to those who ask and for ordering our steps as we seek You. We thank You that our names are in the Lamb’s book of life and the through Him we have been given the power and authority to trample on snakes and scorpions. Thank you for the many revelations You have already poured out and will continue to pour out through Your children and let there even be revelation in the words You have given below that we may be more aware of the tricks of the enemy and govern ourselves accordingly. Create in us a clean heart and renew in us a right spirit so that we may continue standing until Yahshua’s triumphal return. It’s in the name of the Lord Yahshua of Nazareth that we pray, Amen. Astral projection is a term you will hear a lot of new agers and occult worshipers use because the practice of astral projection is of the devil. Astral projection (noun) is the act of separating the astral body (spirit or consciousness) from the physical body and its journey into the universe (http://www.dictionary.com/browse/astral-projection). So basically you can remove your spirit from your physical body and travel through the spirit realm. I know this sounds absurd but I can tell you I have personally been involved in this sort of thing. I want to assure you that this article is not meant to entice you into occult worship but to equip you with the knowledge you need so that you may not be deceived. Remember, we perish because of lack of knowledge (Hosea 4:6). Another practice Yeremiah taught me was the art of astral projection through meditation. Let’s stop here for a moment. Everything Yahweh (G-d) creates haSatan (accuser/adversary) attempts to pervert. Having said that, it is written, “This Book of the Law shall not depart from your mouth, but you shall meditate on it day and night, so that you may be careful to do according to all that is written in it. For then you will make your way prosperous, and then you will have good success. (Joshua 1:8).” There are other Scriptures that reference meditation on the things of Yahweh. From this pure form of meditation comes the perverted form of meditation to which I am referring. See, meditation of the Word of Yahweh requires you to focus on His Word and what He’s saying so that you may appropriately apply the Word to your everyday life. Perverted meditation requires you to focus on you in an attempt to reach inner peace (https://zenhabits.net/meditation-guide/). What’s wrong with having inner peace? Well, for starters, peace is a fruit of Ruach Ha-Kodesh (The Holy Spirit) making it a gift from Yahweh. Whenever we attempt to attain the things of Yahweh outside of Him, His Son and His Spirit we have now stepped into the realm of perversion (https://www.gotquestions.org/Bible-perversion.html). You may remember the story of the false prophet Balaam (Numbers 22:1-35). Balaam was a prophet of the Lord who allowed perversion into his heart making him forever known as the betraying false prophet (notice a false prophet is a prophet of the Lord with a corrupt heart). Balaam is the perfect example of what happens when we allow perversity into our being. Going back to meditation, Yeremiah didn’t just teach me about meditation, he taught me how to achieve the highest level of meditation. Scientists say that our brains operate on different wave lengths. Theta waves: Occur most often in sleep but are also dominant in deep meditation. It acts as our gateway to learning and memory. -senses are withdrawn from the external world and focused on signals originating from within. -a dream; vivid imagery, intuition and information beyond our normal conscious awareness. -where we hold our ‘stuff’, our fears, troubled history, and nightmares. Delta waves: Slow, loud brainwaves (low frequency and deeply penetrating, like a drum beat). -generated in deepest meditation and dreamless sleep. -suspend external awareness and are the source of empathy. -Healing and regeneration are stimulated in this state, and that is why deep restorative sleep is so essential to the healing process. Alpha waves: Dominant during quietly flowing thoughts, and in some meditative states. –‘the power of now’, being here, in the present. –resting state for the brain. –aid overall mental coordination, calmness, alertness, mind/body integration and learning. Beta waves: Dominate our normal waking state of consciousness when attention is directed towards cognitive tasks and the outside world. -‘fast’ activity, present when we are alert, attentive, engaged in problem solving, judgment, decision making, and engaged in focused mental activity. Gamma waves: The fastest of brain waves (high frequency, like a flute), and relate to simultaneous processing of information from different brain areas. -passes information rapidly, and as the most subtle of the brainwave frequencies, the mind has to be quiet to access it. -dismissed as ‘spare brain noise’ until researchers discovered it was highly active when in states of universal love, altruism, and the ‘higher virtues’. -above the frequency of neuronal firing, so how it is generated remains a mystery. NOTE: It is speculated that Gamma rhythms modulate perception and consciousness, and that a greater presence of Gamma relates to expanded consciousness and spiritual emergence. Now, that you know a little more about the different brain waves and how they function, you need to know how they all relate to meditation. Meditation of the world is set in place to achieve different goals. Some meditation is used for relaxation, peace, focus, awareness, spiritual growth, etc. Yeremiah taught me that the different brain waves could be triggered by tones called binaural beats (http://www.immramainstitute.com/brainwave-technology-for-health-wellness/binaural-beats-and-how-they-affect-your-brain/). Binaural beats are perfect for quick access into a meditative state because they put you in a sort of hypnosis. There are some (even scientists) who will argue that binaural beats cannot hypnotize you but I beg to differ. Do I have tangible proof that I can produce for you right here right now? No, but I did mention that I was into this “stuff” recreationally when I was 19-20 years of age so I am speaking from personal experience. So, binaural beats can help you achieve different levels of meditation through activating the different brain waves. Think about the EDM beats that most house bands, trap music artists (rappers) and trance music artists use in their music now days. If you were to dissect these beats down to their basic form you will discover that they all have binaural beats meant to trigger the different brain waves and their functions. Just watch when a trap song comes on how everyone seems to sway and bob the same way as if on cue. How does everyone seems to move exactly, the same way on beat at the same time? Easy… the music puts them in a trance. 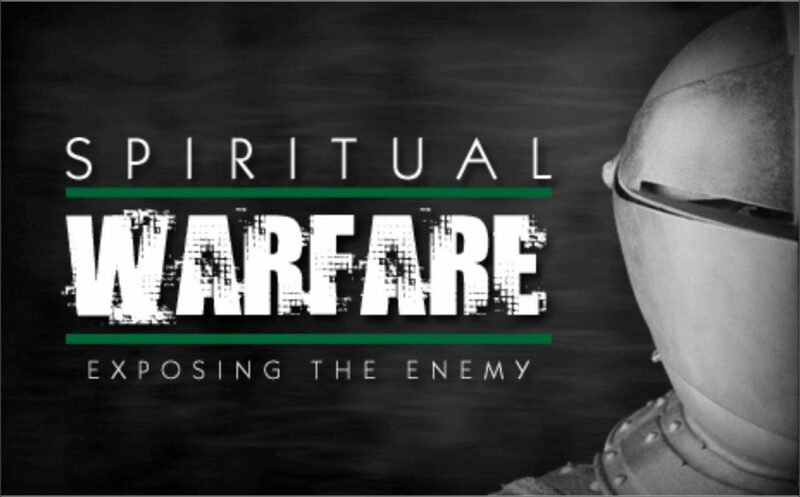 If you are like me and have to see for yourself I would encourage you to pray over yourself first before venturing into enemy territory (Ephesians 6:10-20). I know this is a slight detour off topic but it will all come together. What is the universal language spoken by every human being alive? Song or music. The quickest way for haSatan to corrupt the largest amount of people in the shortest amount of time is through our music. Why do you think these musicians are riddled and tormented by demons causing public breakdowns and lewd outbursts? Remember, haSatan has but a short while before being thrown into the lake of fire (Revelation 12:12). Let’s pause for a moment and look at the definition of hypnosis: (noun, plural) hypnoses [hip-noh-seez] an artificially induced trance state resembling sleep, characterized by heightened susceptibility to suggestion. How does all this relate to astral projection? Well, you have to crawl before you can walk. I had become aware of and learn how to “control” my consciousness before I could “naviagte” my consciousness. Once, I was aware and “in control” I was ready to go. Balanced chakras and a high level of self-awareness through peace with one’s “inner self” is the key to navigating the consciousness. I remember the first time I astral projected my spirit. It felt like a dream and it played out a little like one as well. I remember landing (ß yes, landing) in various places and when I was ready to go I would just lift straight up into the air and I would be on my way. I know it sounds cool but there is always a price to pay with the devil. The more I consciously practiced astral projection the easier it was to enter the spiritual realm. This was amazing until it became too easy. I had begun astral projecting my spirit without even trying (involuntarily). I remember falling asleep in the computer room at my parent’s house while my younger brother was asleep in his room across the hallway. He said he awakened to me standing next to his bed, pointing at his phone. That’s when he realized his phone was ringing. I was never in his room but he saw me standing next to his bed and pointing to his phone. How had I allowed something that seemed so innocent and beneficial to consume me to the point of no control? Well, haSatan is very seductive in enticing us away from Yahweh. Just look at how Yahshua was approached by haSatan after He fasted for forty days and nights and then was led by Ruach Ha-Kodesh into the desert (Matthew 4:1-11). HaSatan offered Yahshua something that already belonged to Him (power over all the kingdoms of the world) but at a much “lesser” price than what Yahweh was offering. Yes, Yahshua wouldn’t have to suffer (enter the temptation) but He would have to worship haSatan (making Him an enemy of Yahweh and stripping Him of His ability to save the world from the price of sin which is death). This is exactly what had happened to me. See, in Yahshua we have power and authority but we must suffer. “When you hide your face, they are disturbed. But I told you I had removed my spirit from my body and was navigating through the spirit realm. Does this mean that I was temporarily dead while my spirit took flight? Of course not. My spirit being gone just left an empty vessel to be occupied. Occupied by what? Why a demon of course. Wasn’t that the purpose of luring me away through my need for power and acceptance into a world of meditation and astral projection so that I could gradually lose control of the “gift” I had learned making the perfect home for a demon to occupy? Of course it was. HaSatan does not come to us with absurd suggestions and ideas but with those things that would entice us to act in its will and not the will of Yahweh. Here I was offering my body as an open sacrifice to house a demonic spirit and HaSatan had taught me how to do it. This is the problem with worshiping your culture (and other worldly things) and not Yahweh. Since I am a woman of African descent, I will take my “culture” for example. We have been brainwashed to believe that black magic is good and if we practice this art then we are in tune with our ancestors. We are also told that if we worship Yahweh instead of the African gods then “we are slaves to the white man’s religion.” Check out this website with a short biography from a practicing high priestess voodoo witch: http://www.real-voodoo.com/voodoo-priestess.html. Crystals, sage and other natural elements are used in the place of Ruach Ha-Kodesh and Yahshua. You see, haSatan perverts our thinking to the point where we begin to seek out the kingdom of darkness unknowingly. This is why the Bible says that we must be transformed by the renewing of our minds (Romans 12:1-3). Whenever we worship our culture, race, status, title, sexuality, gender, etc we are unintentionally opening ourselves up to be deceived by the devil.